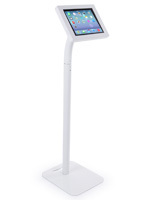 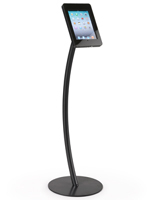 These black iPad floor stands feature an adjustable enclosure that can tilt to accommodate any user. 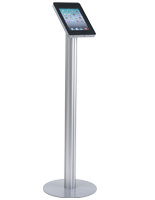 The Apple® device case can also rotate to switch between a portrait or landscape orientation. 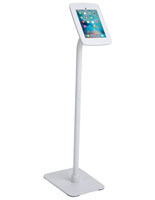 The floor stands for tablets feature a 10 lb. 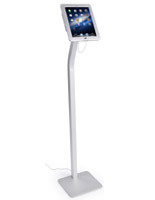 weighted support base for extra stability. 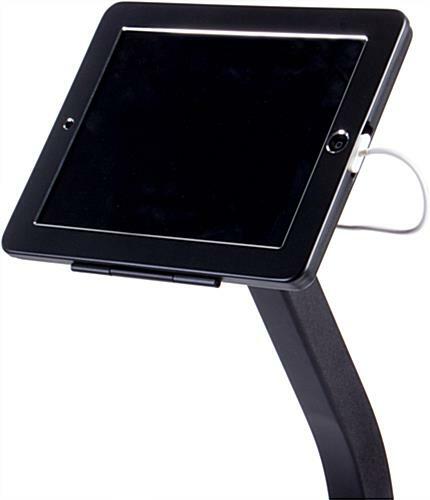 The adjustable holders can support Apple® devices from generations 2, 3, 4 and Air. 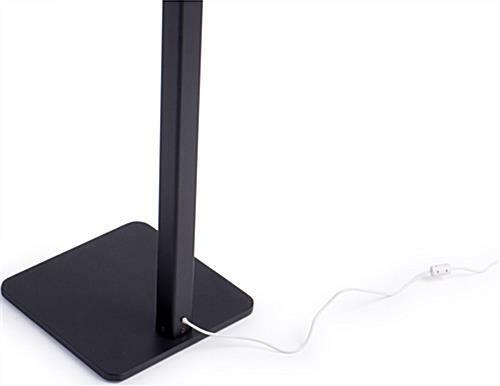 The tablet stands feature a hollow design that manages cables and cords to keep them out of sight in public environments. 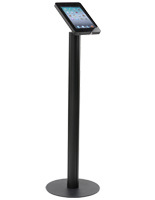 The cases have a locking design to protect valuable electronics from being stolen.